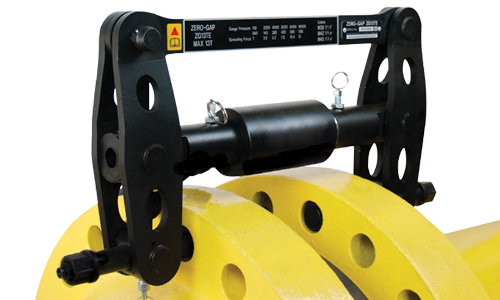 KBSS Engineering can access the HTL brand of Secure-Grip Flange Spreading tools. HTL’s globally unique Secure-Grip tools spread via the flange bolt holes and are amongst the world’s safest flange spreading tools. These tools use patented expanding collet technology for application on flanges with a zero gap or where spacers, spectacles or butterfly valves are positioned between the flange joints. The smaller lightweight mechanical SG tools are used on small to medium sized flanges, and are actuated by the supplied torque wrench, and suitable for bolt holes from 17.5mm (0.69”) to 39.0mm (1.54”). Different collets are used to match the tool to the respective bolt hole diameter. The hydraulic SG tools are used for medium to large sized flanges, are actuated by an external hand pump and are suitable for bolt holes from 38.0mm (1.49”) to 62.0mm (2.44”). Different collets are used to match the tool to the respective bolt hole diameter. 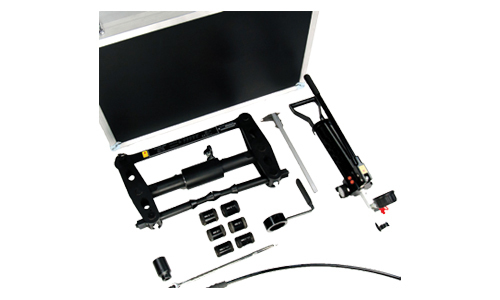 The large in-line hydraulic SG tools are suitable for larger sized flanges. These are actuated by an external hand pump and are suitable for bolt holes from 59.5mm (2.34”) to 108.0mm (4.25”). Different collets are used to match the tool to the respective bolt hole diameter.